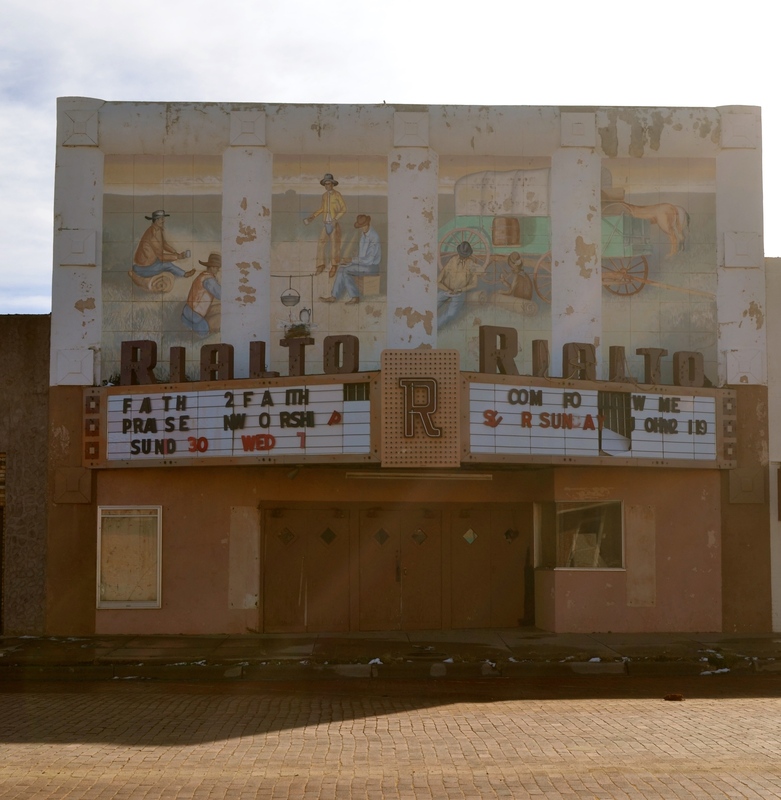 Apparently the small town of Brownfield Texas once had 2 movie theaters and one drive-in. Sadly, like many small towns across the United States, those days are long gone. I love the art work above the marquee. It looks like this theater has served many purposes throughout its time. 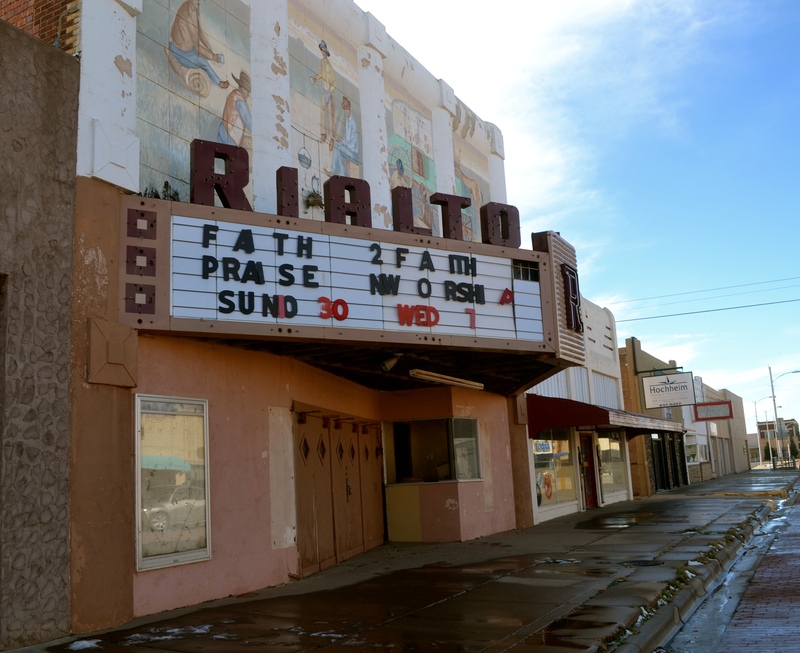 This entry was posted in Uncategorized and tagged 365 photos, Brownfield Texas, Old, photos, Small Town, Texas, Theater on January 25, 2015 by treerabold. That would be great Joanne…. They have actually built a new (double screen) drive-in theater here in Fort Worth….we haven’t been yet but we here it is quite fun. As for the Exorcist…I’ve never watched it. The only “scary” movie I ever watched at a theater (indoor) was Halloween (the first one). I was a teenager and went home to an empty house that night….scared me! !